If your mother resides in the Atlanta, Minneapolis/St. Paul or Honolulu areas, the chances are very, very good the floral token of your appreciation for her flew Delta before you ordered it. If she lives elsewhere, the chances are still good her bouquet was carried by the widget. Because more than 196 tons of flowers--that’s upwards of 393,000 pounds--has moved across much of the U.S. via Delta Cargo since April 27. Why so many? Shippers of flowers say that customers demand a wide-array of Mother’s Day flora in volume, color and variety. And the showier the better. In contrast, Valentine’s Day demand tends to revolve around just one type. Yes, that would be the rose. And if 196 tons of this lucrative Mother’s Day staple seems like a lot, that’s because it is. Delta Cargo says this season’s flower-power is up 26 percent compared to the same period in 2014. 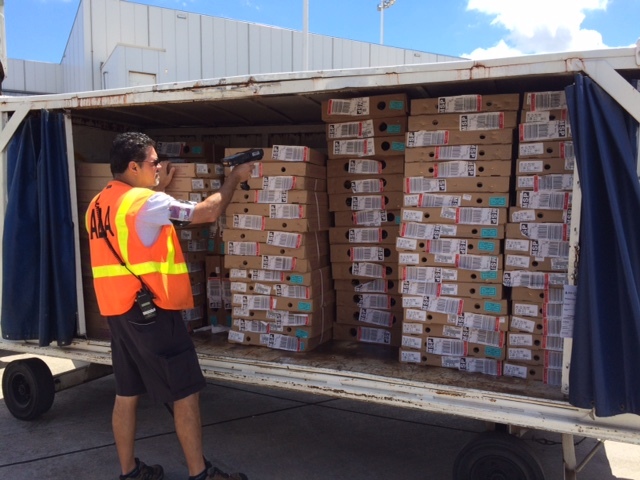 Colombia is a top flower exporter to the U.S. to the ports of Miami and Fort Lauderdale, where they eventually meet up with Delta aircraft for the next leg of their journey to Mom.